It’s officially Spring here in Switzerland! Not only are many Swiss bands diving in to the new season with lots of vigour but they are preparing for summer music tours, releasing new albums and composing new music. There’s lots of good music on offer at the moment. One sound that recently caught Catherine’s eye and ear, is the melodious and intriguing voice of Romina Kalsi, one of the vocalists from band Rocky Wood. This band currently live between Lugano and Berlin and call themselves an “Alt-Folk influenced Swiss-American pop band”. All band members Theabio Besomi, Romina Kalsi, and Roberto Pianca, play several instruments and sing. Check out this video below of “Blind Hawaii” from the band’s album “Shimmer”. A track to sit back and truly chill out to. They have several dates lined up to perform in Switzerland in April, from Nyon to Olten to Solothurn. A band to watch. As a complete contrast if you fancy a bit of Swing, jazz (and a lot of pizazz!) 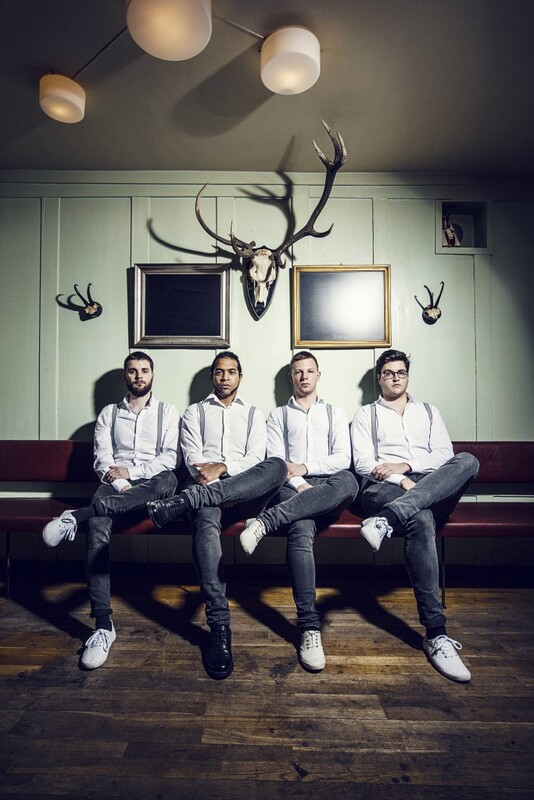 check out these two videos of Swiss Band Klischée with the track “Tin Tin”. The first video is their official video and the second is from one of their live performances at the Bierhuebeli concert hall in Bern. It kicks off with Swing and morphs into a Roots-Reggae sound. This band have given over 100 live performances to date and by the look of this second video, they are definitely one to see live! To find out more about this band and their music, see their website here.